Readers meet Detective Abby Hart in the opening novel of the series, Burning Proof. In the novel, the stage is set for the mystery of a fire where Abby’s parents and another man lost their lives. Abby is saved from death by the cook when two officers unblock the back door. The author then takes readers into the background of Abby and other characters’ lives in the second story titled, Drawing Fire. In each book, there is suspense, a case that is a mystery unsolved for two decades and perhaps a budding romance between Abby with a local P. I., Michael Murphy. What adds tension to the storyline is the addition of suspicion of the Governor’s possible connection to the cold case known as The Triple Seven murders. 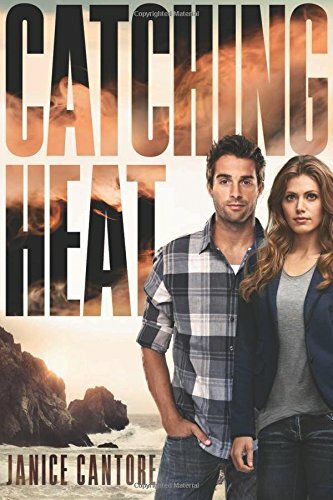 I loved how Janice Cantore added various characters or twists and turns into the plot that surprised me and added new direction in the novel. Sometimes the leads would turn into false leads and only raise questions by the reader, heightening the interest in how the author was going to bring the various plots together. I enjoyed how the author brings to the forefront the internal struggle Abby has between revenge and justice. The struggle highlights a deeper issue of the heart that of whether Abby will trust the Lord with the final outcome or push for her own results. I don’t think there is a person alive who hasn’t struggled with trusting God, especially when the outcome is not seen clearly, quickly or ever. Abby’s character shows perseverance too even when obstacles or trials are in her path. All three novels in this series are tied together so reading them sequentially is helpful to understanding all that is happening in the story. Janice Cantore knows how to mix adventure, danger and faith issues with some romance in stories that kept my attention and left me wanting more. I hope you will become a fan of her books as I look forward to what flows out of her pen next!